Cards is an elegant and modern layout WordPress theme that is designed for building a blogging website and also is helpful for the bloggers to share their own views regarding different topics or to share their experiences and stories. The theme is ideal for creating Magazines with stunning photographs which increases the richness of the theme even more. The theme is compatible with almost all the browsers, hence called as browser friendly. The theme is ready to scale with different devices and works great on all the devices and also is mobile friendly. It uses clean and valid code and is fully customizable theme. The theme allows you to change the position of menus, as custom menus are supported by theme. It is translation ready theme. It displays various posts on the homepage along with integration of social icons, so that if one wants to share their posts with people, they can easily do it, or even inviting people to read your posts is very easy. 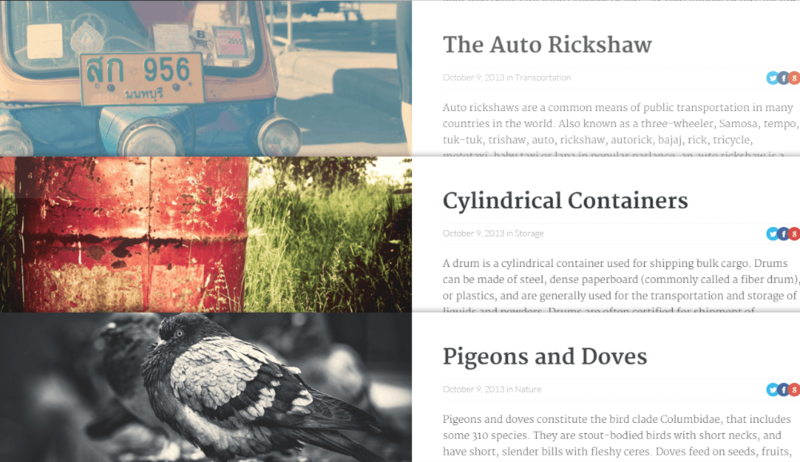 The theme offers you sample content and style guide containing column shortcodes. The code of this theme is designed by keeping SEO in mind and is SEO optimized. I wanted to start my own blog and one of my colleague suggested me “cards” theme. I’m really impressed by this theme. This theme is very easy to use, it gives very nice layout that looks very attractive. Customization option of this theme is also awesome. I would recommend “card” for all non-developer bloggers. My reason for the rating is that this is the most intuitive, feature rich, easy to use, in depth theme i have ever used. Value for money on this theme is worth. Absolutely recommended! 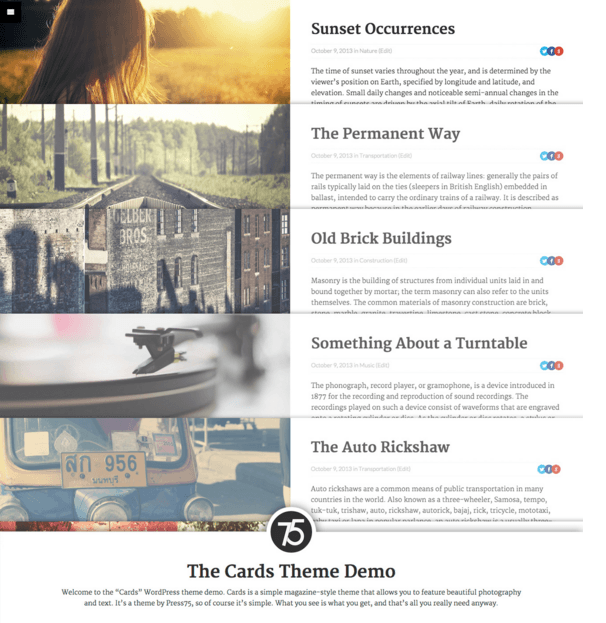 A WordPress theme that is built for blogs that have media such as videos.